The Snow-Tec's are a new mid-range technical ski sock made with 50:50 wool/acrylic fibre mix offering warmth and moisture control ensuring that feet are kept warm, dry and comfortable (they even soothe Stanetta's bunions!). 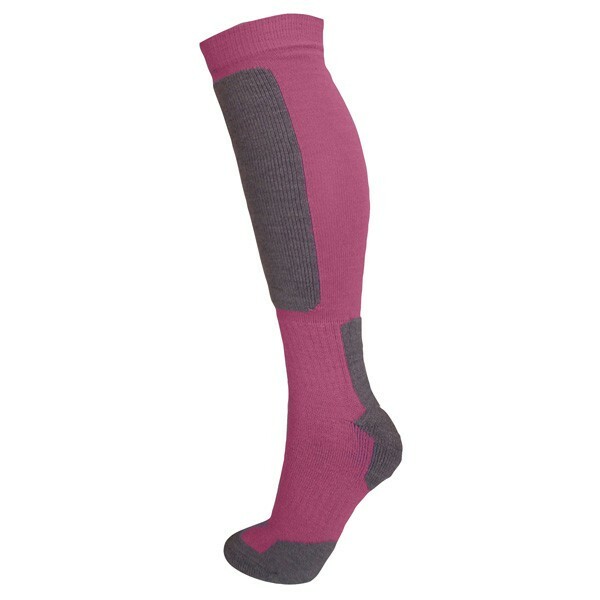 These socks have high-density 'low impact' padded zones to help minimise abrasion. Dedicated sizings and Lycra content increases support and comfort. Comes in a pack of 1 pair. Manbi Snow-Tec Adult Technical Ski Socks - Fuchsia/Grey.